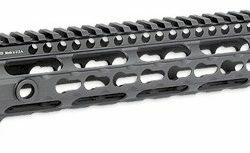 The Super Modular Rail (SMR) MK8 M-LOK™ is Geissele’s ultra-modular model. 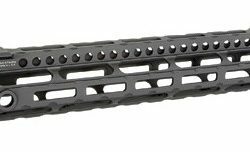 The SMR MK8 is one of the first rails available to utilize the Magpul M-LOK technology. These rails are designed to give the user full modularity while maintaining a strong and rigid platform. Maximum venting at the lower 45° quadrants create maximum heat dissipation and also dramatically reduces the rail’s overall weight. Utilizing Magpul’s M-LOK technology at the 3, 6, and 9 o’clock positions, as well as the upper 45° quadrants. The SMR MK8 is both versatile and modular, allowing the user to tailor their platform to his or her unique needs. 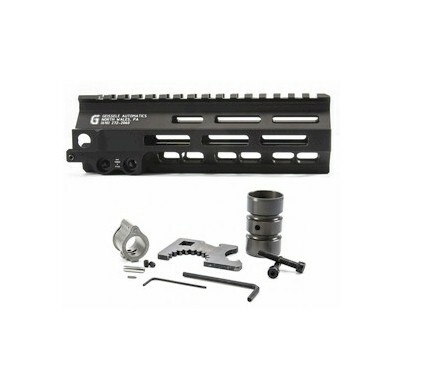 The SMR MK8 also features Geissele’s proprietary 2″ long barrel nut. This increases the surface contact where the rail interfaces with the receiver and creates a platform that can be trusted to be straight and true the entire length of the free float rail. This increases accuracy and zero repeatability during disassembly and reassembly when performing maintenance. 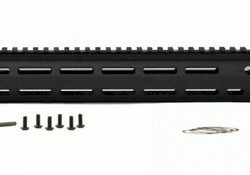 Bundled with a low-profile Geissele Super Gas Block, a $59 value, the SMR MK8 is not only feature packed, but it is also value packed.